Father Duffy Square stands as the only special events venue within Times Square. As a result, all Times Square events take place directly in front of the Express Screen. These are broadcasted to millions of viewers, increasing your exposure and getting you the best brand awareness possible. New Years Eve in Times Square has grown into an international event. With more than two million attendees and over one billion more watching all over the world. This is an unparalleled advertising experience. Each year, thousands of yoga enthusiasts from around the world travel to Times Square to celebrate the Summer Solstice with free yoga classes in the heart of New York City. On the longest day of the year, yogis join this global celebration with classes taking place all day long. Taste of Times Square is Times Square's annual outdoor food and music festival, featuring tastes from neighborhood restaurants and flavors from around the world. Great local food, music from New York City performers, dancing, and more attract over 20,000 attendees each year. Black Friday is the number one consumer spending day of the year and marks the beginning of the holiday shopping season. The Express Screen runs 24 hours a day, 365 days a year with absolutely no black out times. Our goal is to make sure your brand is getting the best possible exposure within the heart of Times Square. Located on the corner of the building, the Express Screen can be seen from all angles of the square. Standing 18 stories tall with 8,500 square feet of digital signage to ensure your brand cannot be missed. Father Duffy Square is the only special events venue in Times Square, which means your ad will always be in the spotlight. A Times Square location guarantees over 1.5 million daily and 547.5 million annual impressions - not including exposure during major events. “We are thrilled to have worked so closely with [Lightyear Media] to bring our Naterra International Inc. brands to life at one of the most coveted advertising venues in the world - Times Square. It has been a great pleasure working with the Lightyear Media team to plan and execute some of our most successful ad campaigns including TIGI Cosmetics, Tree Hut, Tree Hut Skincare, Baby Magic, as well as the bonus spot featuring Tree Hut for Body Confidence Day. “During the past several years, our company has been working with [Lightyear Media] on a digital billboard in Times Square, New York. Lightyear Media provides high quality services and we have always been extremely satisfied with their work and timeliness. The Lightyear Media team were able to make timely and regular changes to the various creative assets we had throughout the year and were able provide video confirmations of the new creative as well as time slots for when the assets would be shown. “We have been working with Lightyear Media for several years. Our goal was to utilize their outdoor media assets in the high impact location at Times Square in NYC to build brand equity, awareness and drive product sales through various omni-channels of distribution. Given the locations of Lightyear Media's assets, Kenmore and Craftsman Brands received national consumer recognition as being market leaders in their specific segments. Lightyear Media's production department is cost efficient, nimble and creative in meeting the needs of our business and channel partners. Having a direct relationship with Lightyear Media ensured a clear and mutual understanding of our priorities which were constantly met and exceeded. “It has been an absolute pleasure working with Lightyear Media and their entire team over the years. It was very important for us to achieve added value and exposure in Times Square and they have surpassed our expectations. Working with Lightyear Media has allowed CANCÚN The Mexican Caribbean to gain further brand exposure in Times Square, while staying relevant with digital media technology. 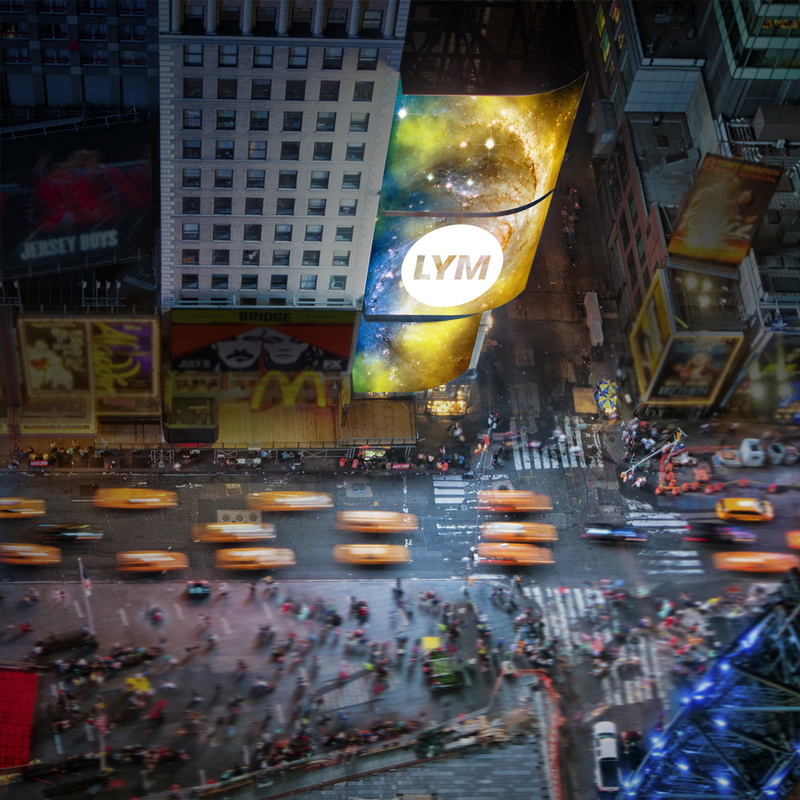 Lightyear Media is a leader in Times Square out-of-home advertising. If you're a positive, creative, get-things-done, cannot wait to get your day started type of person — Lightyear Media is the agency for you! Email your resume today to careers@lightyearmedia.com and begin the first step towards what could be the best career decision you will ever make!